Why drive to lunch, when you can fly? My friend Hilton called and said that he and a mate wanted to fly to the Black Oystercatcher for lunch and was I keen. Of course I was, not only because I love flying but because I had also visited the Black Oystercatcher before and know they have some great wines and a delicious lunch menu. While it would probably take around two hours to drive there from Cape Town, our flight time from Morningstar was going to be less than an hour. Hilton and Sarah took off first as their Decathlon didn’t quite have the same cruising speed as the Paul’s RV 7 that I had the pleasure of flying in. 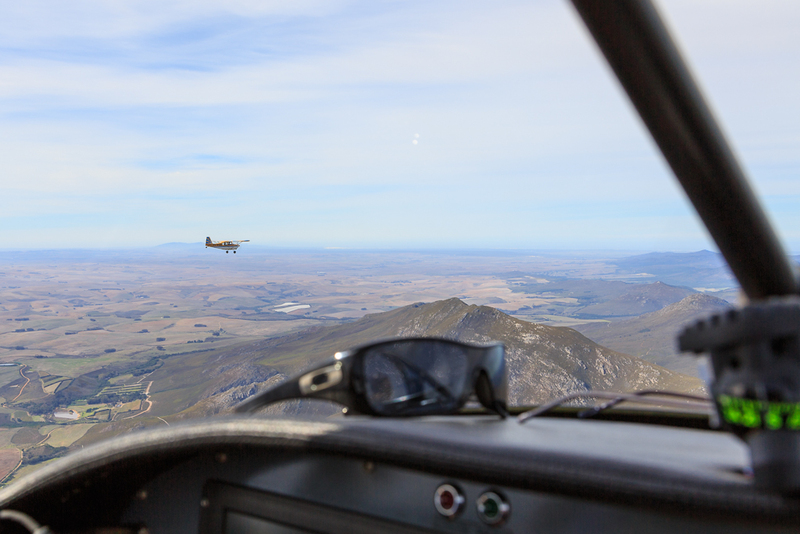 We gave them about a 15 minute headstart before we powered down the runway and took to the skies on what was an absolutely perfect autumn day in Cape Town. After take-off Paul gave me the controls for a couple of minutes while he programmed the Black Oystercatcher GPS co-ordinates into the Easyplan App. 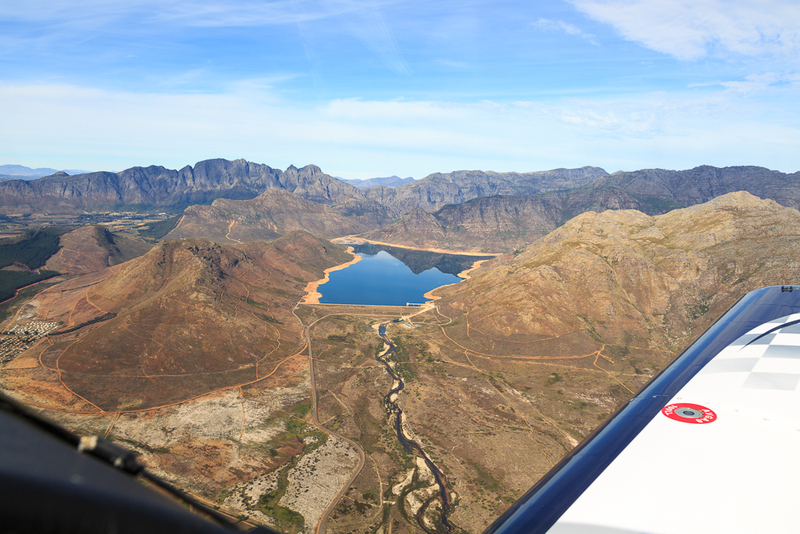 Paul did quickly remember to point out that the controls of the RV 7 are much more sensitive and responsive than a lot of the other light aircraft I’ve flown, it was incredible, the lightest of touches and I turned us left to follow the N1 towards Franschhoek. Paul then took back controls and I got my camera out to capture some of the unique vistas. Last week I was lucky enough to go flying again with my mate Hilton Mundy, this time in a Sling 2 light sport aircraft. We had planned to fly around Cape Point for me to take some pictures but the infamous south-easterly was howling across around the peninsula so we discussed some alternate routes and decided to head up the coast to Yzerfontein and West Coast National Park and then come back along the beach. Those of you who know me and follow this blog will be aware of my love for flying and anything aviation related. I haven’t had much spare time in 2013 because at the beginning of this year, my friend Hilton Mundy and I put the wheels in motion to fulfil a goal we’ve been working to achieve for some time and that is to create, produce and film a South African aviation magazine program. We have some incredible aviators and aircraft that fly our African skies, but sadly, there is no dedicated video series supporting our passion for aviation and to showcase interesting insights into our community that could build and strengthen the aviation industry even more. That is about to change. We have taken on the task to change the status quo and pitch an aviation magazine TV show, whose format and style aims to fill the gap. We aim to get the attention of both potential sponsors & networks to hopefully broadcast and showcase more on our local industry. Fuelled by passion, commitment and with zero budget we have filmed a 24 minute pilot. This would not have been possible without the 100% commitment and drive of our team plus an incredible amount of co-operation by the featured subjects. The challenge is always funding, and this is where we need you to help. No we are not asking for your money – just your support. A couple of weeks ago Hilton Mundy and myself went to Mossel Bay to film The Dias Festival Air Show took place over the weekend of the 2nd February in Mossel Bay. This festival was 1st established back in 1988 to commemorate the 500th anniversary of the landing of Bartolomeu Dias at Mossel Bay. The air show was organised by Sharon Malcolm & Hans Potgieter & ran like clock work from start to finish. The aircraft that partook in the display were the Eqstra flying Lions, L-39, RV-7, RV-8, Cessna 337, T-28 Trojan, Zlin 50, Pitts Special, Magni M24 & Starlite choppers. One of the highlights of the day was the 27m South African Flag hanging from skydiver Ralph Ridge. Sit back and enjoy these four minutes of action packed highlights from the show. I have always had a love for aviation and a few years ago I took a step towards something I had always thought I wanted to do which was getting a pilot’s license. 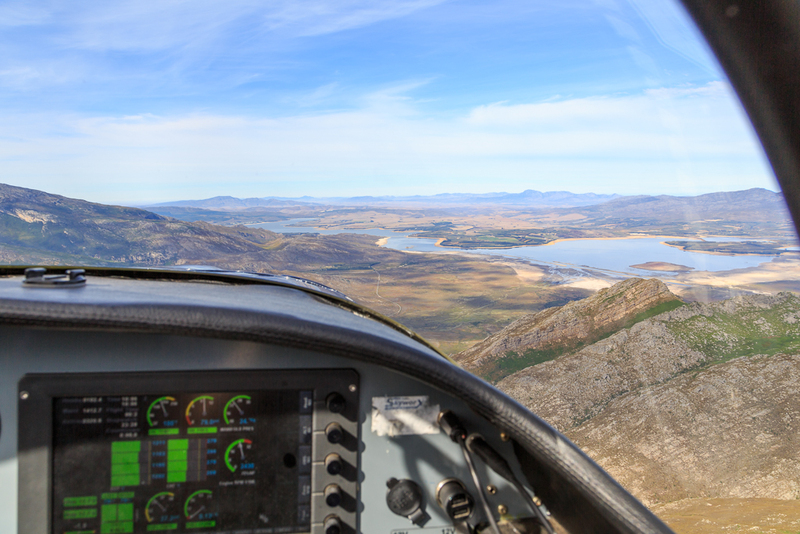 I started flight training with a friend of mine, Hilton Mundy at a little airstrip called Delta 200 out near Melkbos, up the West Coast from Cape Town. For various reasons I stopped my training but Hilton carried on and while it was a long road he eventually got his Private Pilot’s License (PPL) about 5 months ago. Having followed his progress and sharing a love of aviation, ever since I have been looking forward to going flying with him. Yesterday I went along with my nephew and brother-in-law to the Volunteer Wildfire Services (VWS) Open Day at the Newlands Forest Station. This wasn’t an entirely new experience for me as I had signed on as a new recruit with the VWS back in 2009 but ended up relocating to China before I could complete my training for that season. I really enjoyed the people who make up the volunteer group and vowed I would sign up again when I returned. You too can register for the next recruitment drive which should be in March next year for the 2013 fire season. 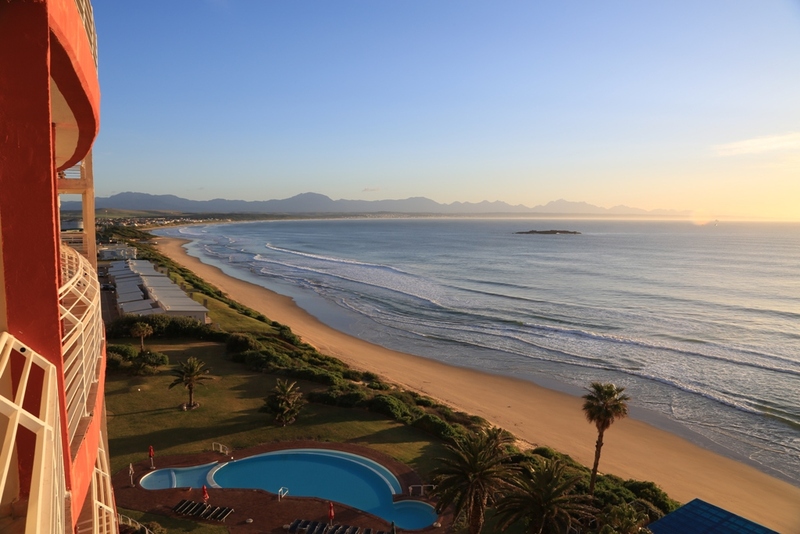 A couple of weekends ago Hilton Mundyand I drove up to Mossel Bay to cover the PetroSA Cape Regional Aerobatic Competition 2012. The weather didn’t exactly play nice for the practice day on the Friday with pilots waiting in Oudtshoorn for the clouds to lift so they could sneak over the mountains which they eventually did. On Saturday the sun rose to reveal clear skies and the competition was on! On the 29th of October I drove out with my friend Hilton Mundy to the Saldanha Bay Airfield for the Western Cape Regional Aerobatic Competition. Hilton started ShortFinal.tv to fuel his passion for aviation as well as further his skills in filming and editing. I too am passionate about aviation and wanting to further my skills in photography and film so off we set with our Canon 550D cameras in hand and reflective vests on to capture the action on the ground and in the skies. Rise and shine. Spread your wings and fly, little butterfly. Riding the swell into 2019 with a pod of heaviside's dolphins. The first of many adventures to come.